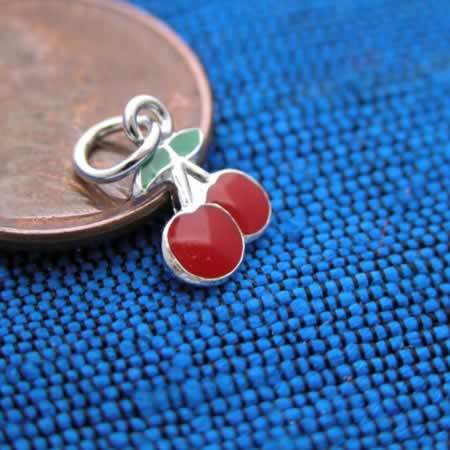 Small wholesale silver charm with enameled cherries. Sterling silver jewelry, handmade in Thailand. Measures about 1/2" tall.